Someone has stolen Donkey Kong's prized bananas and the big ape is on a mission to get them back. With his boy Diddy in tow and with some help from the other Kongs, DK is taking the fight straight to the Kremlings. 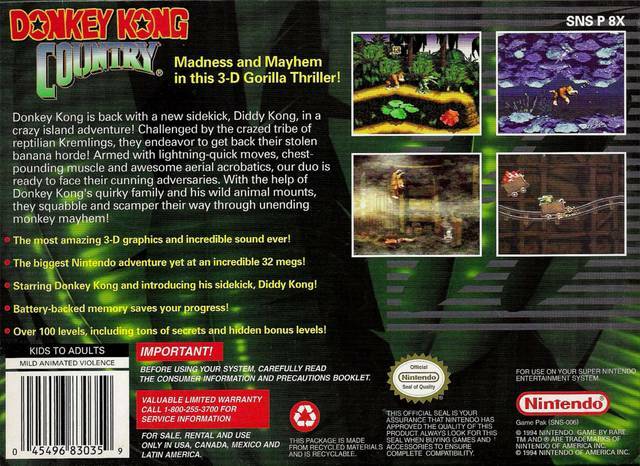 Built by Rare for Nintendo with Silicon Graphics SGI workstations, DKC is one of the legendary games of the SNES era, selling nearly nine million copies. A fairly straight forward platformer with a glut of hidden areas and gameplay settings, DKC is a masterwork of side scrolling goodness. Tight controls and powerful, evocative graphics with songs that just stick powerfully in the mind, Donkey Kong Country is an absolute classic. Now you can add videos, screenshots, or other images (cover scans, disc scans, etc.) 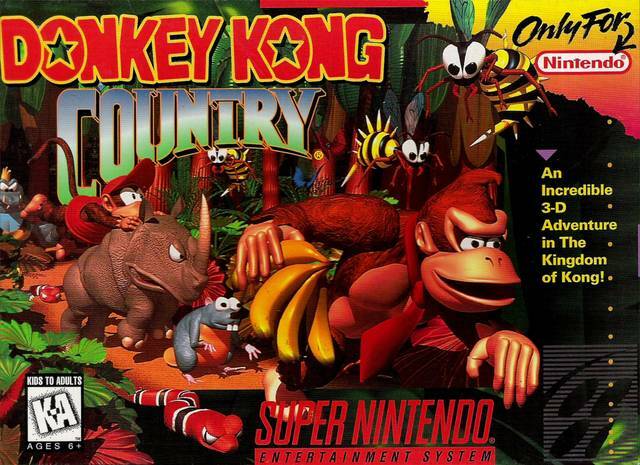 for Donkey Kong Country (USA) (Rev B) to Emuparadise. Do it now!